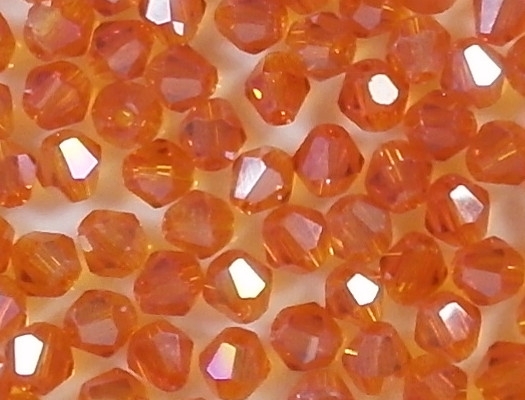 4mm (long) x 4.5mm (wide) faceted bicones. Crystal bicones have 6 sides instead of the 4 sides that smooth bicones have. 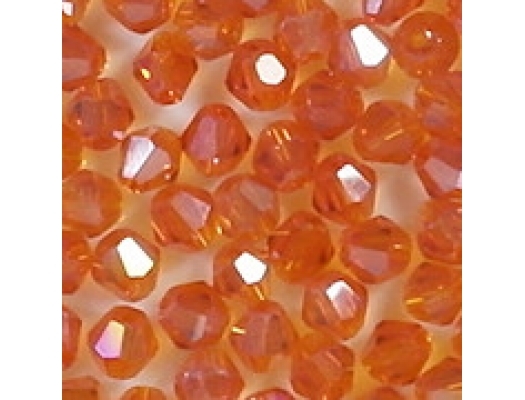 Translucent bright orange with an AB coating on part of each bead. 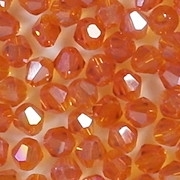 Defects: Chinese bicone beads have facets which, to the naked eye, appear perfect. However, many beads are a little rough around the holes, which makes me think that the holes are actually drilled instead of being part of the mold (as is the case with Preciosa beads). An occasional bead is also shorter at one end than the other end (meaning that one end of the bead is blunter than the other end). However, all these defects are so small they can't be seen with the eyes unless you look very hard. 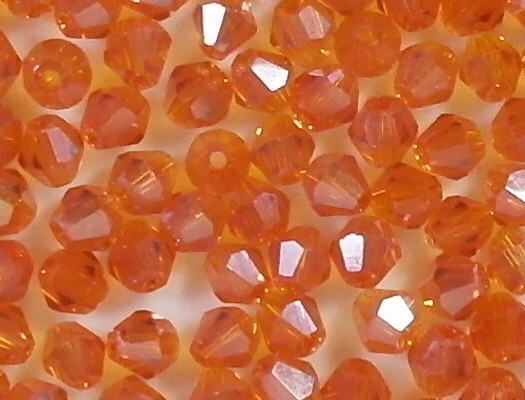 Comments: These are Chinese cut crystal beads, similar to Preciosa and Swarovski beads, but not quite as perfect. 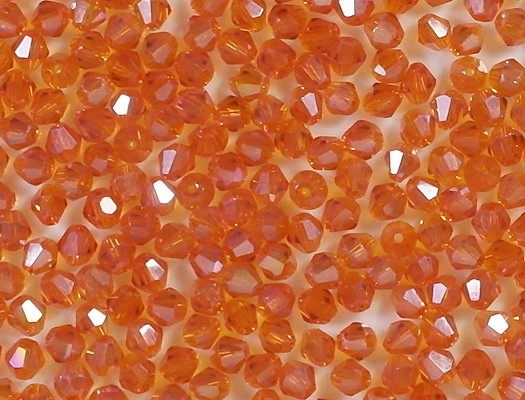 The facets of these beads are much more perfect than you will find on fire-polished beads. Unfortunately, my pictures don't show the AB coating very well. I carried similar beads under the number C003, but those beads didn't have an AB coating.